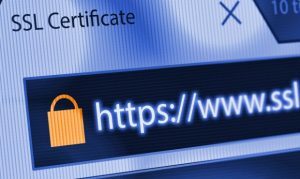 Don’t have a SSL Certificate installed on your website? We have bad news for you: Google probably flagged your website already as “Not secure” then! Today, it’s a fact of life that we turn to the internet for everything. From selling to buying goods, getting in touch with friends, find a new job, hire new talent, watch movies, playing games… whether on our computers, phones, gaming consoles and even in our refrigerator! The internet is an intrinsically part of our lives, and it’s influence grows every day. With this dominating trend, online security has become a necessity. Do you have a thought bouncing around inside your brain? Something that could make an impact on other people’s lives? Your company is in need to reach more customers and improve your business? It would be a pity to let your ideas stay buried in your mind or your business left down to obscurity, so why not go big and take it to the Internet? It’s time for another Magento patch. Today, Magento Commerce released a very import security patch, named SUPEE-7405, and with this new patch, comes two new versions of Magento, 1.9.2.3, for those users that are still on the 1.x versions, and 2.0.1 for the early adopters of the brand new Magento 2.0 version.